Not so long before the mainstream media was lying the United States into a war with Iraq, I had purchased a book called ‘What Liberal Media‘? The book made its case exhaustively; that there was not a liberal media bias but in fact a neoconservative one. In 2011, it became one of many books that I donated to the People’s Library at Occupy Auckland. Ill-fatedly it seems, as that library was dismantled and the books seized by private security contractors hired by the Auckland Council (the High Court in Auckland later judged the seizure and the raids to be illegal but no reparations have ever been offered to or obtained by Occupiers). There is very little about my personal politics that would ever have indicated to anyone, let alone myself, that I could be a Trump supporter. On the surface, he stands against everything I have all but sacrificed my life fighting for. He prides himself on his ability to throw his weight around. To effectively bully people into getting his own way. In ‘The Apprentice‘ he presided over a televisual representation of the dog-eat-dog corporate world. One where lies flow fast and freely and people are tacitly applauded for doing hatchet jobs on one another. Where only the immoral survive let alone flourish. He is the embodiment of capitalism, a dying economic experiment that is the cause of untold misery the world over. Yet due to the endless tirades against him in mass media, and his anti-TPP and anti-war stances, many activists including myself began to empathise with him. Witnessing what we just have in the course of the US election, it is now impossible to deny that there is a liberal bias in the media. The obviousness of the bias, the refusal of that media to hold themselves to account and the apparent inability of anyone else to do it either, has created a massive backlash against it. A backlash that Trump has benefited from. In his recent CBS 60 Minutes post-election interview, Trump said that social media, particularly his massive followings on Facebook, Twitter and Instragram, had played a large part in his victory. He said he gained 100,000 followers in a day, and believed his social media footprint directly tackled, and won over, what he described as ‘a billion dollars’ spent against him by the Clinton machine. And it wasn’t just the Clinton machine or the traditional liberal media that were out to put the knife in him. My favourite publication, The Intercept, which should be acknowledged and commended for consistently running stories critical of both candidates and of the process as a whole, in fact ran a series of dozens and dozens of hit pieces against Trump. 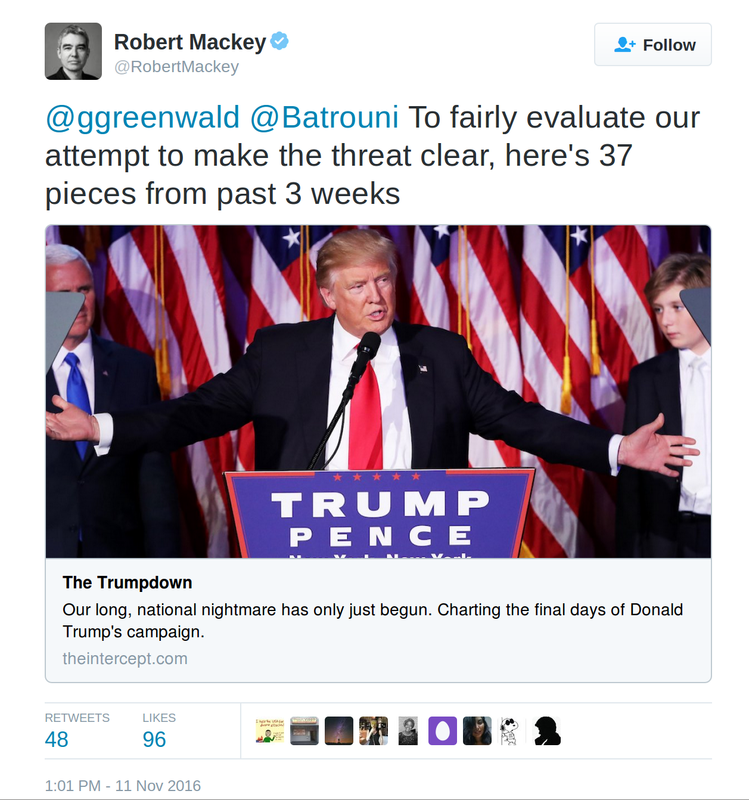 When The Intercept‘s reporter Robert Mackey filed his first anti-Trump piece, I barely noticed. I actually had a massive antipathy towards the electoral process, which I saw as entirely flawed and a choice between Tweedle Dum and Tweedle Dee – or “cholera versus gonorrhea” as Assange famously described it – sympomatic of the puppet show that is modern American politics. 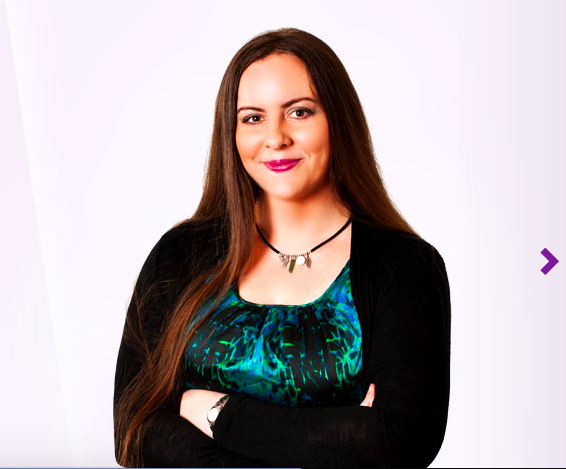 It had been clear to millions of us around the world in 2011 that the system was irredeemably broken and corrupt and certainly there has been no meaningful reform since that time to change our opinions. By Mackey’s third anti-Trump piece, it seemed like more of the same. By his sixth anti-Trump piece, it was becoming abundantly clear that Mackey just plain did not like Donald Trump and did not want him elected. By the 12th anti-Trump piece I was becoming convinced (wrongly, I hope!) that Mackey might be part of some conspiracy involving the Clinton-endorsing New York Times with which he was formerly employed, and utilising The Intercept for Clinton’s own ends. As an avid The Intercept reader, by the time the 20th anti-Trump piece rolled around I had decided that I just plain did not like Mackey, that he was a pro-Clinton bully, and that this Trump guy might not be so terrible if Hillary Clinton, arguably the most corrupt candidate of all time, and her supporters, disliked him so much. Now to be fair to Mackey, he has been openly taking on Ann Coulter so he can’t be that bad a guy after all! 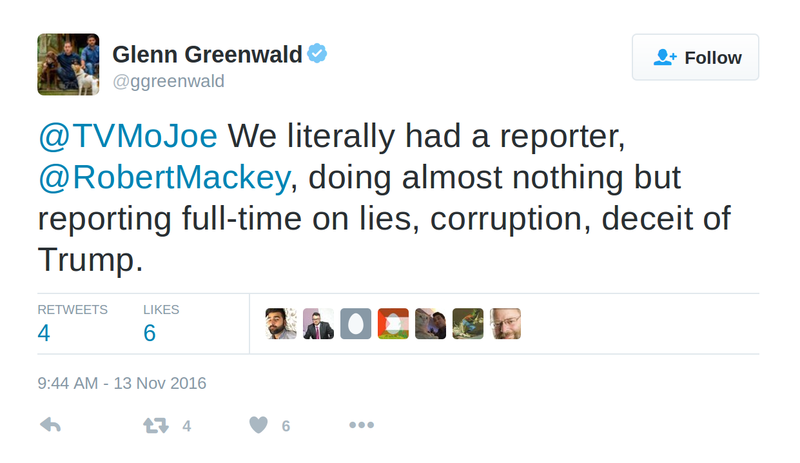 I also think Greenwad wouldn’t back his work if he wasn’t convinced Mackey is genuine. But Mackey’s constant filing of anti-Trump themed articles made him appear to have an unhealthy obsession, which diminished any credibility his arguments had, and they all just melded together until they were indistinguishable, into one great big serialised diatribe. For the Trump camp, Mackey’s efforts became the practical embodiment of the phrase ‘even bad press is better than no press‘. If I had to guess, I would have said The Intercept published 20 anti-Trump pieces. But according to him, the exact number was 37. In a three-week period. Pushing an average of nearly two per day, what effect was it thought this would have? Since when has over-saturation not made people sick of whatever it is being shoved down their throats? The backlash was inevitable. Trump, who I had no affinity with whatsoever, was being turned into an underdog besieged by establishment journalists in my eyes and I had just spent years standing up for underdogs besieged by the establishment. In a bizarre and twisted way, this simply served to make people like me want to defend him, despite the fact that he is someone who wields massive power and would not otherwise have ever been viewed as an underdog at all, nor a figure in need of defending. Such is the polarising effect of this election – even the career anarchists picked a side. If even people considered as ‘radical’ as I (enough so to end up on a list passed from one government to the next) ended up participating in the Coke versus Pepsi contest, the string-pullers really are clinking champagne glasses while those of us who have been fighting for a systemic rebuild tear our hair out. 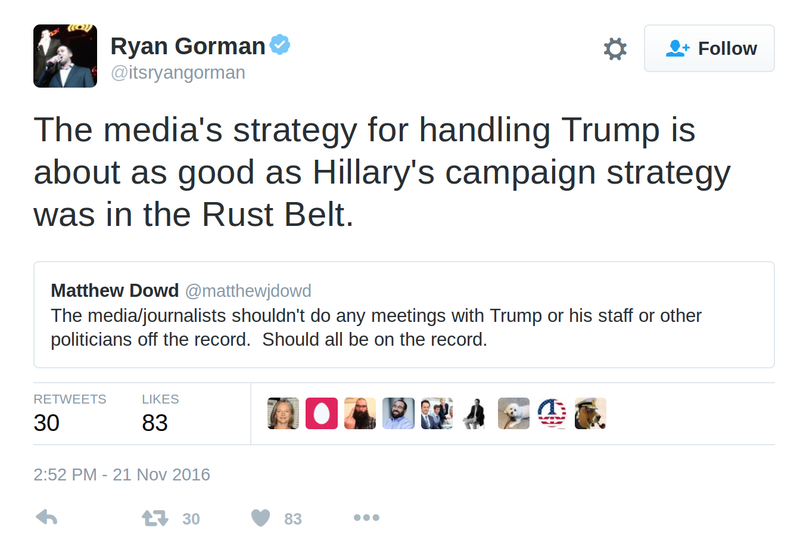 More than ever before, the media have become The Band That Played On. As Glenn Greenwald brilliantly pointed out, introspection is a foreign concept to the liberal class. The post-election period has only served to compound that the liberal media bias does exist and was in no way cowed let alone dismantled by their total and abject failure in the lead-up to election night. The handling by CBS of the seemingly traditional first-post-election-interview of the President-elect is a great example of this. I took the time to analyse the 2008 CBS 60 Minutes interview of then-President-elect Obama and compare it to the 2016 60 Minutes interview of President-elect Trump. I had hoped to put the questions up against each other in sequential order, for comparison. Except that would be impossible. Because although both interviews were roughly forty minutes in duration, 60 Minutes asked Obama 47 questions, but they asked Trump 73. There is no greater indicator of the inherent bias of the editors than the note that each interview finished on. It’s so blatant it’s comical. Of the 47 questions asked of Obama, somewhere between 12 and 14 of them related to policy, depending on how strictly you apply the term. 3 of the questions were about his ex-apartment in DC. 2 questions were about what he was reading. Another 2 questions related to his mother-in-law and 2 more as to whether the incoming First Family would get a dog. Despite Obama’s election win having occured in the middle of a Global Economic Crisis that drew constant comparison to the 30’s and the Great Depression (something Obama decries in the interview), the overwhelming majority of questions asked of him were jovial if not completely superfluous in nature. Each question led to a new topic, with very little pushback on any of his answers. Of the 73 questions asked of President-elect Trump, somewhere around 6 were on policy, or if you include questions about his Cabinet appointments, about 10. How is this possible? That he would be asked substantially less about policy than Obama was, when he was asked two-thirds more total questions? A closer look at the language is really revealing. I could go on and on, and usually would, but now that I’m endeavouring to write daily, have to keep this short. The full list of questions in each interview speak for themselves. There was every attempt to keep Obama at ease, and every attempt to provoke or trip up Trump. But the public didn’t buy it before and won’t now. That ship has sailed. How many members of the public would love to get the heads and top anchors of the six major media organisations into one room and tell them exactly what they think of them? Apparently Trump has done exactly that. 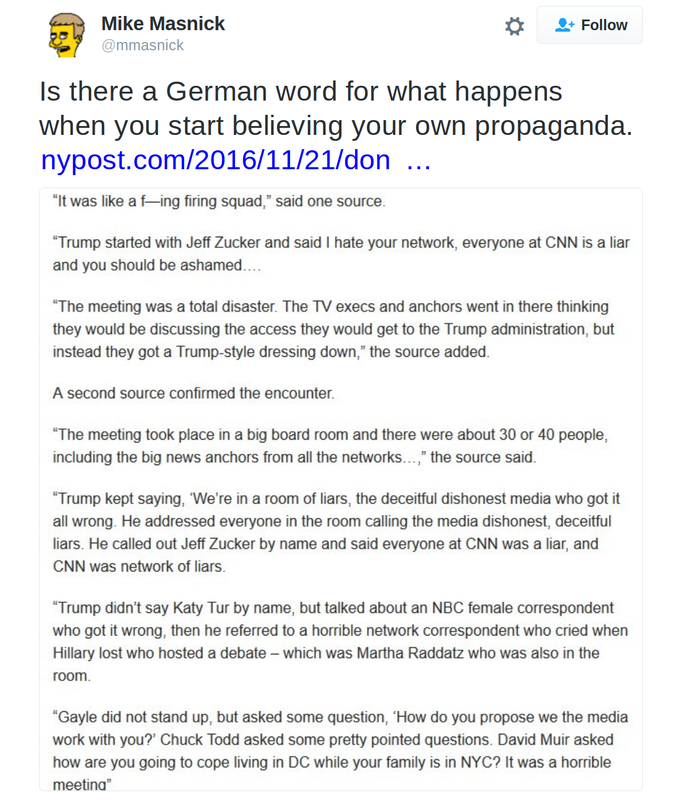 Trump reportedly ripped into the mainstream media in a face-to-face, off-the-record meeting this week, which for me personally was reminiscent of Kim Dotcom having ripped into equally duplicitous and biased corporate media in New Zealand. The full story is available at the NYPost – at least what parts of it were leaked by the press organisations themselves despite their commitment to the meeting being off-the-record. Trump, of course, would have anticipated this, and will be having the last laugh, as are all who are reading it and living vicariously. Whether or not it will be the wake-up call the press needed, remains to be seen. The most intriguing aspect of all is the extent to which the narratives of the major press corporations are an extension of the express wishes of the intelligence community and its covertly implanted members and thus what this really says about what is in store for America going forward. The voice of reason may be John Stewart. His heartfelt appeal for people to understand how intellectually deprived it is to simply decry all Trump supporters as ‘racist’ is a must-read. Or it may be the founder of Black Entertainment Television (BET) who has similarly appealed to his own community, drawing attention to a famous quote that African Americans should have ‘neither permanent friends nor permanent enemies, just permanent interests’. This may be the tiny beginnings of reconciliation, though you won’t be able to tell that from today’s headlines in the New York Times, which are still scratching away at the same broken fiddle. But funnily enough, derision doesn’t unite people and if you aren’t willing to reach out a hand to your ideological foe, you will never be able to bridge the faultlines that the elite so carefully devise and construct to divide us. To that end, Robert Mackey, the next drink is on me.